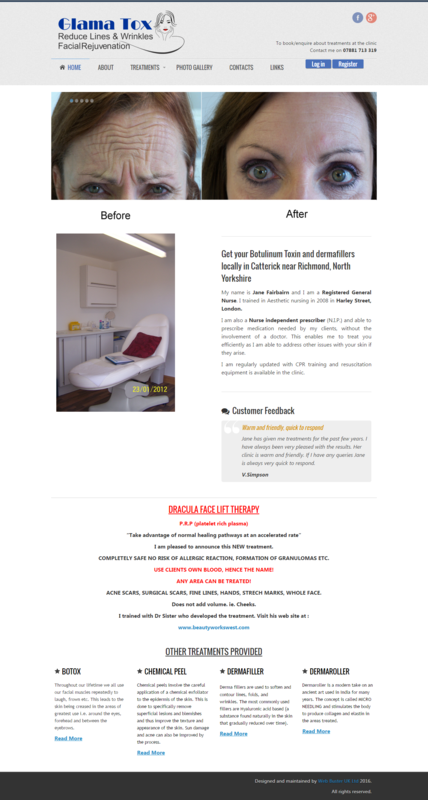 Jane operates an aesthetic clinic in Catterick near Richmond, North Yorkshire. She requested for a website that is able to describe the services she offered and showcase her clients' results. Using a Portfolio, she can upload before and after pictures for visitors to her website to browse through. We have also developed a members section where her clients can log in and view their last and next appointment dates (which Jane can edit from the front-end of her website).